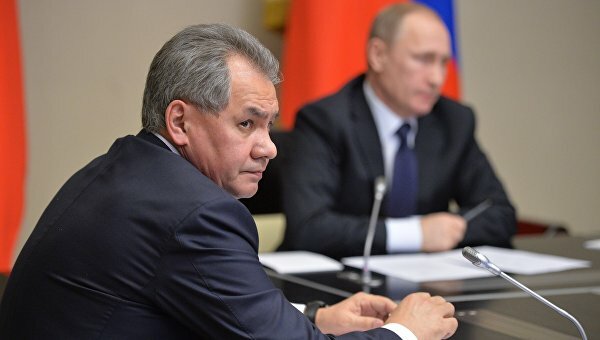 On Monday Russian Minister of Defense Sergei Shoygu said that 209 terrorist-controlled oil infrastructure objects and about 3 thousand oil-transporting vehicles were destroyed as a result of air strikes of Russian Aerospace Forces, and 2 thousand of bandits from Russia fighting in Syria alongside terrorists were also successfully eliminated. “More than two thousand of criminals, immigrants from Russia, including 17 militant leaders were eliminated in the territory of Syria. Our air force destroyed 209 objects of oil production, refining and transfer. Also 2912 of oil products delivery vehicles were destroyed as well“, Shoigu said at the meeting with President Vladimir Putin. He added that with the help of Russian air force Syrian troops have liberated 400 localities and more than 10 thousand square kilometers of territory. “A significant turning point was reached in the fight against terrorism“, – Shoigu said. He also told the Russian leader about the monitoring of the ceasefire. “The ceasefire observation is also put under control. A large enough number of drones, means of reconnaissance and all our satellite fleet are involved in this,” the Minister said. This entry was posted in News from the Middle East and tagged Russia, Syria. Bookmark the permalink.